What’s the first thing your skydiving instructor has you do after you leave the plane? Check your altitude. Before and after maneuvers, check your altitude. If you don’t have altitude awareness, PULL! 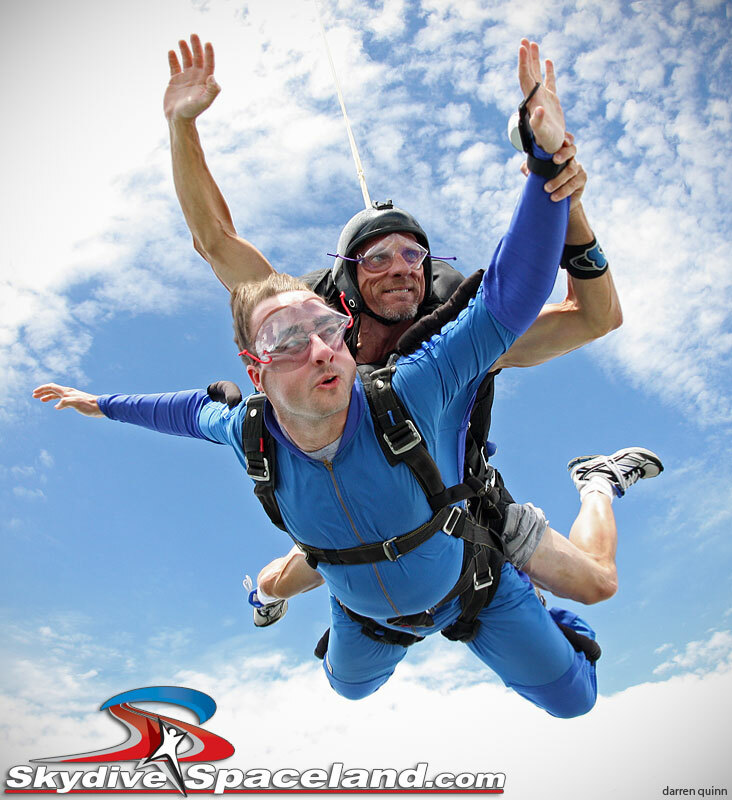 Awareness of your altitude is of paramount importance to our survival in skydiving, and we all know it. And yet we sometimes forget about altitude awareness as we progress as skydivers. We start working on more advanced skills and jumping with other people, and we take our survival skills for granted as we shift our focus to these new, fun things to do. Generally speaking, there aren’t a whole lot of different things that injure and kill skydivers–but loss of altitude awareness is a common factor in many incidents, both in freefall and under canopy. Since relying on your internal clock can lead you astray, it’s important to develop good altitude awareness habits that will keep you aware on every skydive, no matter what you’re doing. First, let’s look at the altitude awareness tools we have at our disposal. The first step in altitude awareness is to be aware if your altimeter is working properly. Check your visual altimeter before boarding to make sure it’s turned on (if electronic) and zeroed out, and look at it a few times on the way up to make sure it’s working properly (counting up at about the right rate). If you aren’t sure it’s correct, check it against other altimeters in the plane. If your altimeter readings differ significantly from others’, try to figure out why. Did the calibration knob (if there is one) get bumped? Or are the batteries dying, or is the unit malfunctioning? If you suspect your altimeter is misbehaving, it may be better to ride the plane down or pay extra attention to other methods of estimating your altitude. Once you know your altimeter is working, it’s a good exercise to check it periodically on the ride up and glance out the window to see what the ground looks like from that altitude to train your eyes. This is also a good time to practice looking around the landscape and identifying where you are relative to the drop zone. Your eyes will generally not be as accurate as a working altimeter, but they can give you a general idea of altitude to compare against your altimeter readings and to back you up in case your altimeter fails. Also, this keeps you aware of your altitude in case of an aircraft problem–since your options and actions will vary with your altitude if a problem occurs. Comparing eyes to altitude is a fun exercise to do on commercial airline flights as well, as long as you have an in-flight display available to give you accurate altitudes (pressurized cabins cause our altimeters to read incorrectly. Once you’re on jump run, check your altitude again so you know how high you are exiting. This will also tell you if you are exiting at a different enough altitude from usual to know if your internal clock will be off. After exiting, continue to check your altitude periodically throughout the skydive. Now is when a different kind of internal clock can help you out–the clock that counts how long it’s been since you’ve checked your altitude. Checking altitude every 10 seconds or so is a good target, and take extra opportunities to check your altitude when they arise. For example, if you’re in a formation waiting on someone to get there, and you’re not doing anything, check your altitude. After break-off, check your altitude quickly as you wave off and pull; this will tell you if you’re pulling higher or lower than usual. If you’re much higher than planned when you start to pull, hold off until you’re close to the altitude the other jumpers expected you to pull when you planned the dive. This will keep you from opening high underneath or close to someone who’s aiming for the preplanned pull altitude. Plan the dive, dive the plan. Knowing your pull altitude will also affect how you handle a malfunction. For example, if you are pulling slightly higher than planned, you have a few more seconds to deal with a malfunction. But if you’re lower for some reason, that tells you that you don’t have as much time as usual to sort out any mess over your head before your hard deck. Once you’re under a good canopy, check your altitude so you know where you saddled out (useful if you have a late malfunction such as a brake line that doesn’t release). If you do have a malfunction and you decide to try to fix it, keep checking your altitude; many malfunctions can burn through altitude faster than you’d expect even if you are flying a lightly loaded parachute. Know your hard deck for a cutaway, and know when you’ve reached it. As you fly your canopy to the landing area, continue to check your altimeter periodically (while maintaining traffic awareness) so you get to your holding area and fly the landing pattern as planned. Be ready to adjust your pattern if you end up higher or lower than intended at your pattern turn points, and work on developing your eye for altitude while in the pattern. This is especially important to track when you have recently changed canopies or are working on higher-speed landings. Audible altimeters are fabulous for reminding us about important altitudes such as break-off, pull time, decision altitudes, and pattern altitudes (for some models). However, you can’t check them periodically to see how high you are. They are great back-up devices and should be used as such; don’t rely on them as your only altitude reference. Altitude is an ever-shrinking commodity as we skydive, and it runs out at various speeds depending on what we’re doing in freefall and how we fly our canopies. Keep track of altitude using all the tools at your disposal until you’re on the ground, and you’ll go a long way towards staying out of the incident reports. Next PostNext Skydiving? Take Your Phone!